A new report providing an insightful look into paid-to-post Internet commenting in China has been released, concluding that commenters post in large volumes with little interest in conversations. Battling the Internet Water Army: Detection of Hidden Paid Posters is a research paper developed by Canada’s University of Victoria and China’s Beijing University that looks at the culture of Internet users being paid to post comments online, known as the ‘Internet water army’ in China. 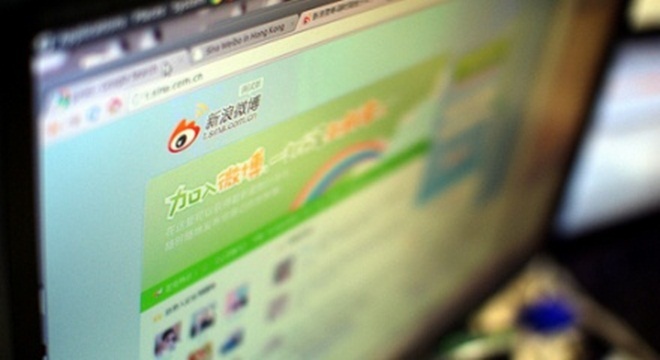 The report is much welcomed as there is little research data concerning the publishing of fake comments and reviews online, known as astroturfing, in China. While the phenomenon is neither new nor exclusive to China, the rapid growth of the country’s online space has seen the practice increase significantly, as the report explains. On the Internet, the paid posters represent a new type of online job opportunity. They get paid for posting comments and new threads or articles on different online communities and websites for some hidden purposes, e.g., to influence the opinion of other people towards certain social events or business markets. The report speculates that college students and unemployed people are most likely to take paid posting assignments, most of which are set up by Chinese PR firms looking to increase awareness of their clients or carry out promotional campaigns. Although the strategy of employing users to post fake comments is highly unethical, it can be used with great effect as one cited example reveals. On July 16, 2009, someone posted a thread with blank content and a title of “Junpeng Jia, your mother asked you to go back home for dinner!” on a Baidu Post Community of World of Warcraft, a Chinese online community for a computer game. In the following two days, this thread magically received up to 300; 621 replies and more than 7 million clicks. Nobody knew why this meaningless thread would get so much attention. Several days later, a PR company in Beijing claimed that they were the people who designed the whole event, with an intention to maintain the popularity of this online computer game during its temporary system maintenance. They employed more than 800 online paid posters using nearly 20; 000 different user IDs. In the end, they achieved their goal– even if the online game was not temporarily available, the website remained popular during that time and it encouraged more normal users to join. Companies that recruit users as paid posters provide clear targets, with a management team working to scrutinise and validate each poster’s progress. Posters are paid based on the volume of messages published alone, so users work to give their comments the appearance of being genuine, to avoid being flagged or deleted by website admin staff. The report also suggests that Chinese websites are complicit in the process to some degree. In order to help minimise the loss of messages that are removed by websites, the paid posting services have a liaison team which maintains relations with leading websites. Sites can benefit from the surges in traffic and attention that astroturfing can provide, but they tread a fine line and constantly assure users that they do not tolerate promotional messages either. The conclusions were derived from a data set that assessed activity on popular Chinese sites Sina (552 users and 20,738 comments) and Soha (223 users and 1,220 comments). Paid posters typically pay less attention to conversation threads, and and are less likely to respond to comments than legitimate ones. Responses from users who paid posters are likely to come within shorter periods of time from those of regular posters. Paid posters tend to post more new comments than replies to other comments. They also post more often with 50 per cent of them posting every 2.5 minutes on average. They also move on from a discussion more quickly than legitimate users, discarding their IDs and never using them again. The initial research was carried out manually, with the team identifying those that looked like paid posters based on their experience working on the job, but an automated detection program was also developed. The software was able to correctly identify 88 percent of the paid posters from the data set, and it could prove to be a key development in monitoring the growth of China’s water army. While the data provides a fascinating look into astroturfing in China, it is important to note that it has been conducted on a minute scale. Data from less than one thousand posters represents a small fraction of China’s 450 million plus Internet users; however it does still provide an important reference point for future research on the subject.